In July 2013, Hanover College broke ground on a construction project to upgrade its outdoor athletic facilities. Specifically, its football stadium received a facelift and addition that included a new artificial playing field, renovated seating, locker rooms, training rooms, media and social spaces, as well as offices and meeting rooms. In addition, the baseball and softball fields were completely rebuilt with new home and away dugouts, as well as two new press boxes. The project ran into some serious snags when the college received the quote and estimated installation timeline for an adhered roof. That’s when the architect called Exterior Pro Roofing. Adhered rubber is fairly expensive, and despite best efforts, the cost would not fit within the project’s budget. 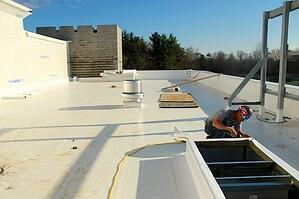 Adhered roofing can only be applied in warm and hot weather. Cold weather affects the glue’s ability to adhere to a surface. This pushed the timeline back well past the college’s target July 2014 completion date. 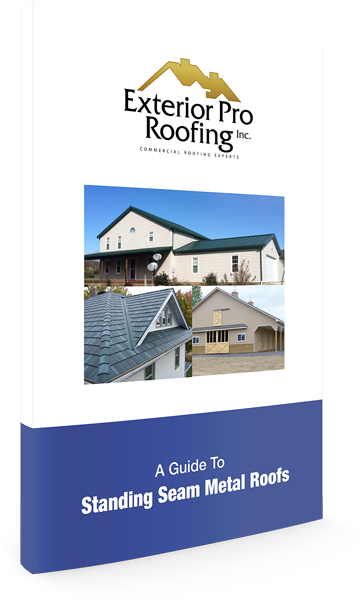 Exterior Pro Roofing introduced another solution. 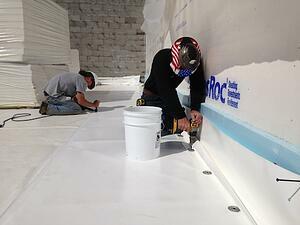 It recommended mechanically fastening a Duro-Last® membrane over all roof surfaces. Mechanical fastening includes hot-air welding, screws and plates, none of which are restricted by temperature. 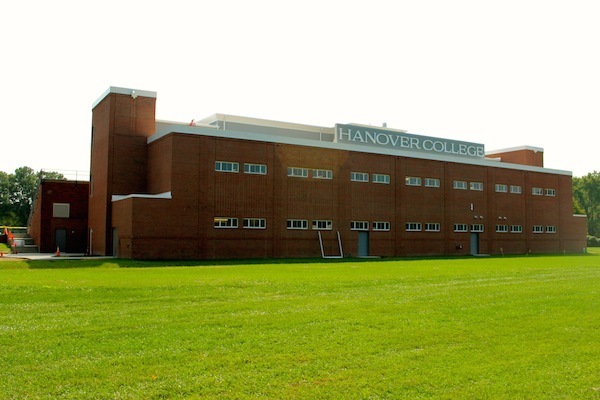 The Hanover College owner representative also wanted a 20-year, no dollar limit (NDL) warranty, which isn’t uncommon for these types of projects. We were able to satisfy this requirement by recommending a 50-mil thick white membrane. With our mechanically fastened Duro-Last® solution, we were able to keep the project on budget, on time and satisfy all warranty requirements. We won the job, and got started as soon as roof construction was completed. First, we set our sights on the baseball and softball fields. We installed the Duro-Last® membrane over all four dugouts and both press boxes, along with commercial-grade gutters and downspouts. We also installed sheet metal flashing with metal trim along all sides of the dugouts. The stadium was a bit trickier, as it required working on 10 different roof sections, including two stair towers, two video towers and different pitched roofs with parapet walls. In addition to installing the Duro-Last® membrane and commercial-grade gutters and downspouts, we also custom bent 10 sheets of flat-stock, white metal for the trim and coping, and installed it along the parapet walls. All in all, we laid approximately 12,600 sq. ft. of roofing, satisfied Hanover College’s budget and warranty requirements, and finished in time for the baseball team to play a couple home games before the end of the 2014/2015 season. While we don’t do a lot of new construction projects, this one was a lot of fun (despite the cold), and we got the opportunity to work with a number of great contractors, including HVAC, electricians, plumbers, general contractors and brick masons.